Seattle last elected a woman as chief executive in 1926. Bertha Knight Landes was the first woman to lead a major U.S. city, occupying the mayor’s office for two years after having served as president of the City Council. Seattle will elect a woman as mayor in 2017 for the first time in 91 years, with voters putting four women ahead in a crowded primary election in Tuesday night’s returns. Former U.S. Attorney Jenny Durkan held a commanding lead over the 21-candidate field with 31.6 percent, while urban planner Cary Moon and educator and attorney Nikkita Oliver were neck and neck with 15.6 percent and 13.9 percent, respectively, in the nonpartisan race to succeed outgoing Mayor Ed Murray. 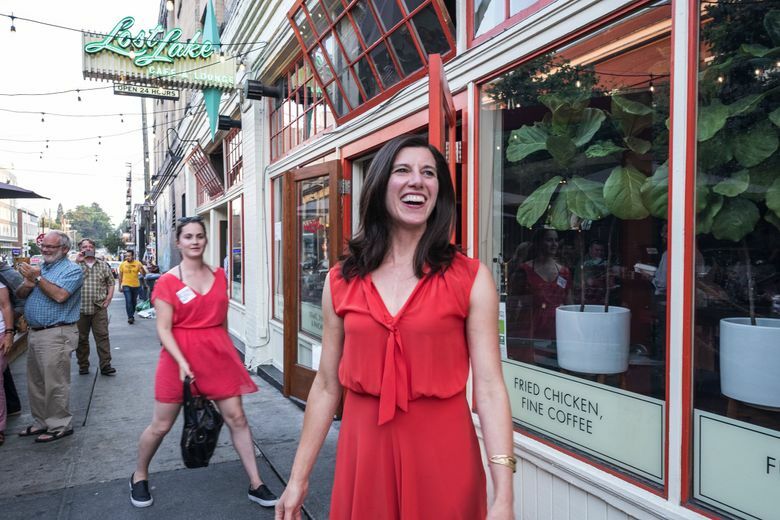 Former state Rep. Jessyn Farrell was also close, with 11.8 percent, while state Sen. Bob Hasegawa, 8.6 percent, and former Mayor Mike McGinn, 7.2 percent, followed behind. The vote count continues this week. The top two finishers in the primary will advance to the Nov. 7 general election, with issues such as homelessness, housing costs and police reform teed up for debate. Seattle last elected a woman as chief executive in 1926. Bertha Knight Landes was the first woman to lead a major U.S. city, occupying the mayor’s office for two years after having served as president of the City Council. She also was the last woman to reach a general election for Seattle mayor. The 59-year-old raised more money from more donors than any other primary candidate. 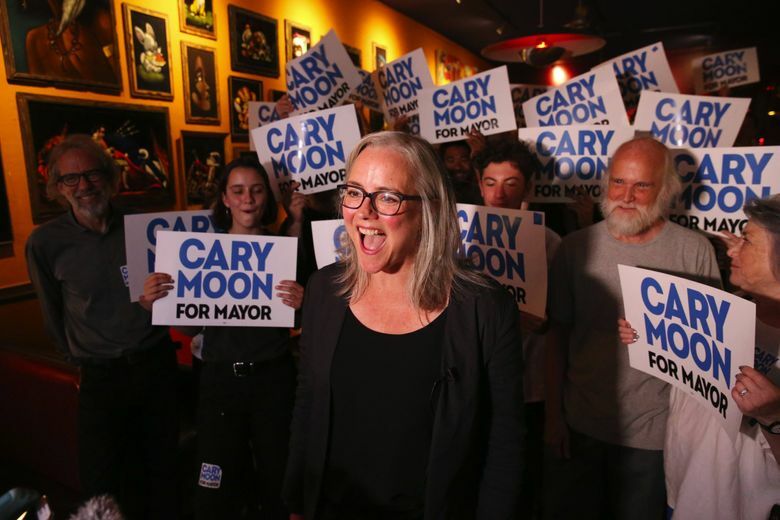 Speaking to boosters at a Belltown lounge, Moon said she was stunned but energized by her second-place position in Tuesday’s returns. Supporter Julie Parrett, who pushed with Moon for a park rather than an Alaskan Way Viaduct replacement along the downtown waterfront, reveled in the prospect of a different kind of mayor. “Women bring a different thought process and way of making decisions,” Parrett said. Gathered with other Oliver boosters at Washington Hall in the Central District, singer-songwriter Hollis Wong-Wear expressed wonder at a volunteer-powered effort to elect a 31-year-old with deep ties to community activism but no government experience. Then Oliver took the stage. Oliver said she would be headed to Yakima on Wednesday for some rest, relaxation and blueberries. 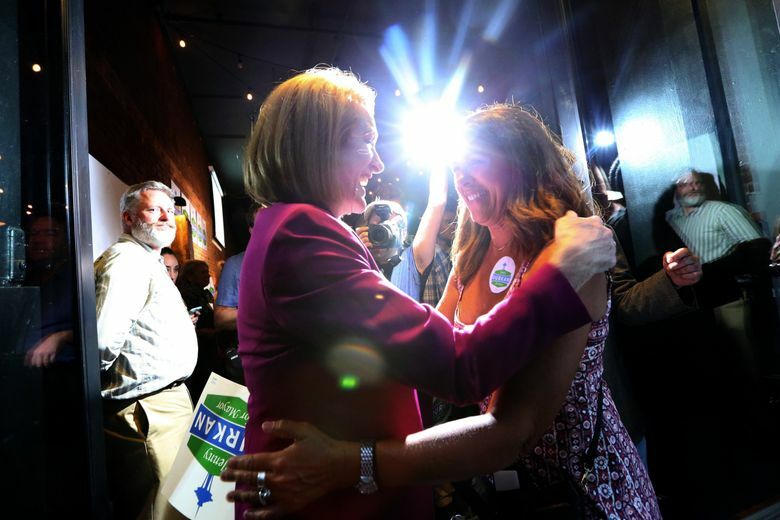 At a bar on Capitol Hill, Farrell said she remained optimistic that later ballot counts would swing her way. The key question for candidates since Murray’s departure from the race this spring has been how best to handle an economic boom making some people rich while leaving others behind. Durkan, Moon and Oliver are all first-time candidates. About half of the expected ballots were tallied Tuesday night. 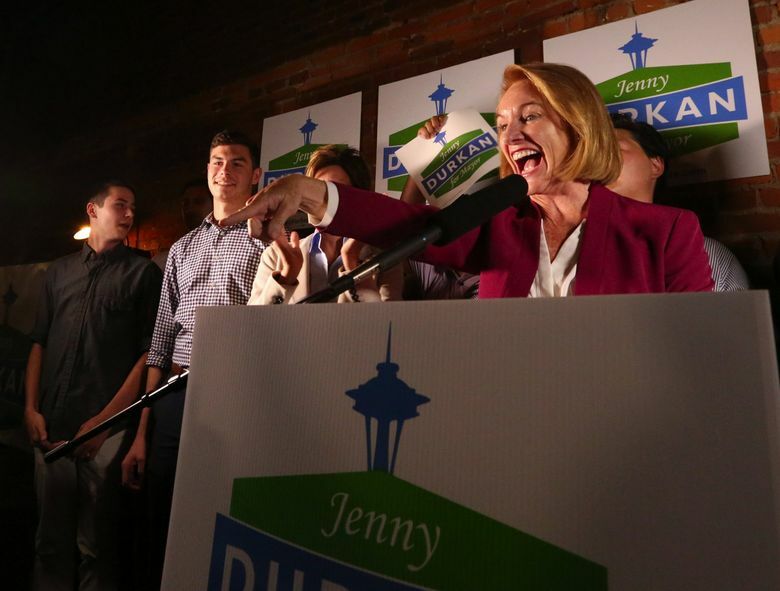 Durkan had 27,579 votes, while Moon led Oliver by less than 1,500 votes. Ballots will continue to be counted for several days, and the results won’t be officially certified until Aug. 15. Machine recounts are mandatory when candidates are separated by fewer than 2,000 votes and also less than 0.5 percent of the total votes cast for both candidates. Manual recounts are mandatory when the gap is fewer than 1,000 votes and also less than 0.25 percent of the total votes cast for both candidates. Separately, candidates can request recounts. Earlier this year, it looked like Murray might cruise to re-election. As late as February, his most prominent challenger was a Ravenna safe-streets activist. But a second Murray term was not to be, as the mayoral race began to change — and change quickly. 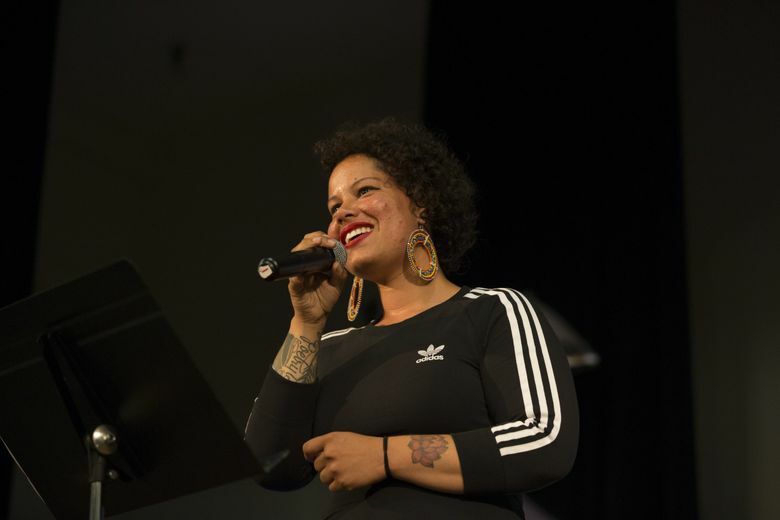 First, Oliver announced her campaign in March, challenging the establishment-backed incumbent as a community candidate of the new Peoples Party. Then, a Kent man filed a bombshell lawsuit against the mayor, accusing Murray of sexually abusing him in the 1980s, when the man was a drug-addicted teenager. Similar claims by three other men came to light, each claiming sexual abuse by Murray decades ago. One of the accusers had briefly been the mayor’s foster son. Murray has vehemently denied the allegations. But he ended his re-election campaign in May, saying the claims had become too much of a distraction for himself and the city. By then, Moon had announced her candidacy, followed by McGinn. The same week that the mayor dropped out of the race, Hasegawa, Farrell and Durkan also jumped in. Democratic Party heavy hitters such as former Gov. Chris Gregoire stood beside Durkan as she launched her run, and many Murray supporters lined up behind her. A pro-Durkan independent-expenditure committee had spent an additional $115,000-plus to boost her chances. Durkan cited her work on police reform and pledged to keep Seattle on the course Murray had set while drawing opposition from some social-justice activists. Oliver generated grass-roots enthusiasm, attracting more than 1,000 volunteers and raising more than $120,000 in mostly small donations. She said she would ratchet up affordable-housing requirements on developers and freeze or reduce property taxes. McGinn vowed to “hold the line” on regressive taxes and cut a bloated budget while directing savings to needs such as homeless shelter beds. Hasegawa repeatedly called for the creation of a municipal bank, while Farrell touted her advocacy for public transit and sought support from public-school parents. The state senator and former state representative garnered endorsements from most of Seattle’s labor unions and Democratic Party groups. Moon promised to open up single-family areas to apartments and crack down on real estate speculators. Staff reporters Susan Kelleher, Christine Willmsen, Nina Shapiro, Lewis Kamb, Lynda V. Mapes and Katherine Long contributed to this story.